Airport hydrant fuel distribution systems are the backbone of up to 90% of large airports and 60% of medium airports today. Making system integrity and reliability one of the most important issues of any airport. Environmental impact of fuel releases from hydrant systems are far greater than fuel truck delivery systems because the leaks are not immediately visible and can occur over a very long period of time. New regulations introduced in 2015 by the EPA are now requiring testing of these systems. Most sensitive. We have the most sensitive testing method available. We test leaks at a .00017 sensitivity level. Our competitors use a .0002 sensitivity level. Largest volume. PHDleak® can test pipeline sections of 1.2 million gallons – that’s six times larger than what our competitors can do. 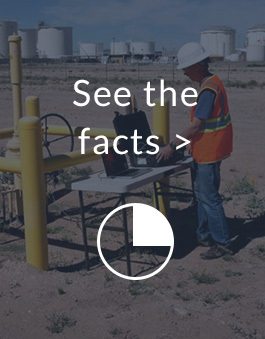 In addition to the standard pass/fail test results, we also offer a PHD Pipeline Health Report that informs owners and engineers about the condition of their pipeline. Our report offers recommendations on preventative maintenance and repairs so you can determine where to spend your maintenance dollars. Briefcase module. With this method, our team can be onsite anywhere in the US within 24 hours and anywhere in the world in 72 hours. This is a low-cost method for confirming and identifying a leak. 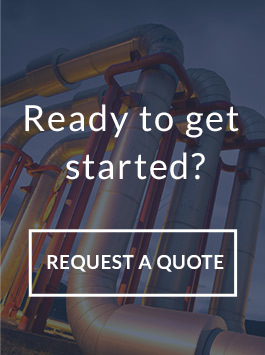 This method requires some assistance with operating existing pumps and valves. Global Pallet module. Our pallet module can be shipped anywhere in the world and requires no on-site assistance. This testing method can be used anywhere 150 percent pressure tests are required. This module can test eight sections within a one-mile area simultaneously, which makes this an efficient option. Truck-mounted delivery system. This testing method is great for companies in the U.S. where 150% pressure testing is required. This option also can test eight sections in a one-mile area. Contact us to determine which testing method would be best for you.